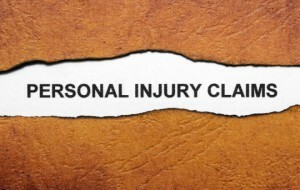 Personal injury law refers to the legal remedies involved in civil lawsuits initiated as a results of negligence. 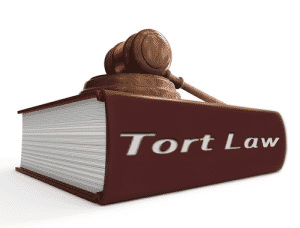 The word “tort” means wrong or harm. A tort lawsuit involves a private plaintiff seeking compensation due to the personal injury caused by the defendant’s negligent actions, unlike a criminal lawsuit where the government prosecutes the wrongdoer. The doctrine of negligence requires everyone to act responsibly to avoid causing harm to others. To establish liability in a personal injury case, it must be demonstrated that a reasonable prudent in the defendant’s position would have acted differently under the circumstances. Examples of negligence include dog bites when dangerous animals are permitted to roam, auto accidents caused by drunk drivers and medical complications due to a doctor’s carelessness. In each of these examples, the responsible party ignored the risk posed towards other with the result being harm to the plaintiff. A duty is a legal obligation requiring that a company or individual must adhere to a standard of reasonable care. A breach is a violation of that duty. Causation is a link between the breach and the personal injury. Simply put, the injury must be a direct cause of the breach. Damages are the harm caused by the breach, such as the need for medical care, loss of wages and pain and suffering. Once the elements of negligence have been established, the defendant must compensate the plaintiff for damages, such as medical expenses and pain and suffering. Damages like property damage and medical expenses are easy to calculate, but damages like pain and suffering and loss of wage earning capacity typically require the testimony of an expert witness. In some personal injury cases, punitive damages may be awarded. 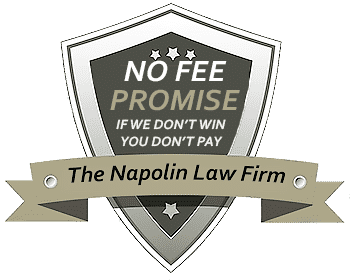 Punitive damages is intended to punish the plaintiff for especially egregious conduct. The goal of damages in tort actions is to make the injured person “whole” again through the award of monies to compensate for injuries caused by the accident or incident. Identifying and naming the proper defendants can sometimes be a challenge. This is because the wrongdoer may not have the financial resources to pay compensation. An experienced personal injury lawyer can identify and sue additional parties who are liable based on their relationship to the wrongdoer, such as an employer or landlord. Personal injury law covers a number of causes of action in addition to negligence. These causes of action may fall under an umbrella of intentional torts. Examples of intentional torts include trespass, assault, battery and trespass. The tort spectrum does include circumstances where the defendant is held liable even if they took steps to prevent harm. This is known as strict liability. For example, is a company is involved in building demolition and takes precautions for safety yet someone still gets hurt, strict liability applies. Another common tort involves personal injuries caused by defective or unsafe products. Manufacturers are liable for designing and selling unsafe products, and parties injured due to a defective products can sue under strict liability. These types of cases can result in individual lawsuits or mushroom into large class action suits. Most defendants rely on common defense theories, such as claiming that plaintiff was responsible for the injury or assumed the risk. In order to win a personal injury case, it's wise to hire an experienced personal injury attorney. Insurance companies have aggressive in-house counsel that are there to fight on its behalf. Having an experienced personal injury attorney in your corner levels the playing field.